If you are looking for life insurance that offers flexible premiums along with the ability to increase or decrease your coverage, while providing a variety of investment options, then a Variable Universal Life (VUL) product might be a product to consider. Your VUL policy will provide security today with the cash value growth potential you need for tomorrow. The ability to increase or decrease premiums in the future to accommodate your budget or cash flow needs. The option to adjust the policy’s death benefit should your life insurance protection needs change in the future. Accumulates valuable long-term cash values for future cash needs such as helping fund a child’s college education, paying off your mortgage early, funding a business opportunity or supplementing retirement income. Life insurance death proceeds are paid out income-tax free and the VUL policy’s cash values accumulate tax-deferred, an important feature when you consider how taxation can have an adverse effect on your savings growth potential. The option to design a VUL policy that reflects your particular needs and situation. A Variable Universal Life policy allows you to decide how to invest your contract value. You can choose a variety of investments, some of which offer the potential for higher returns. Of course, investing in variable subaccounts involves risks that should be considered before making these choices. How does Variable Universal Life work? Variable Universal Life (VUL) is a form of cash-value life insurance that offers both a death benefit and an investment feature. The premium amount for VUL is flexible and may be changed by the policyowner as needed, though these changes can result in a change in the coverage amount. The investment feature includes "sub-accounts," which function very similar to mutual funds and can provide the possibility of a long-term cash accumulation potential greater than a fixed universal life or a traditional whole life. You also have the ability to increase or decrease the amount of your coverage at any time  without buying a new policy (proof of insurability may be required for increase). Kansas City Life Insurance Company also has many policy riders available that would allow you to design a life insurance policy that fits your particular needs and budget. 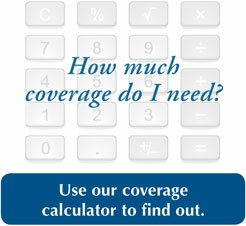 For more information, please contact a licensed Kansas City Life Insurance Company agent near you. *Kansas City Life’s Century II Variable Product Series is distributed by Sunset Financial Services Inc., a wholly owned subsidiary of Kansas City Life Insurance Company.